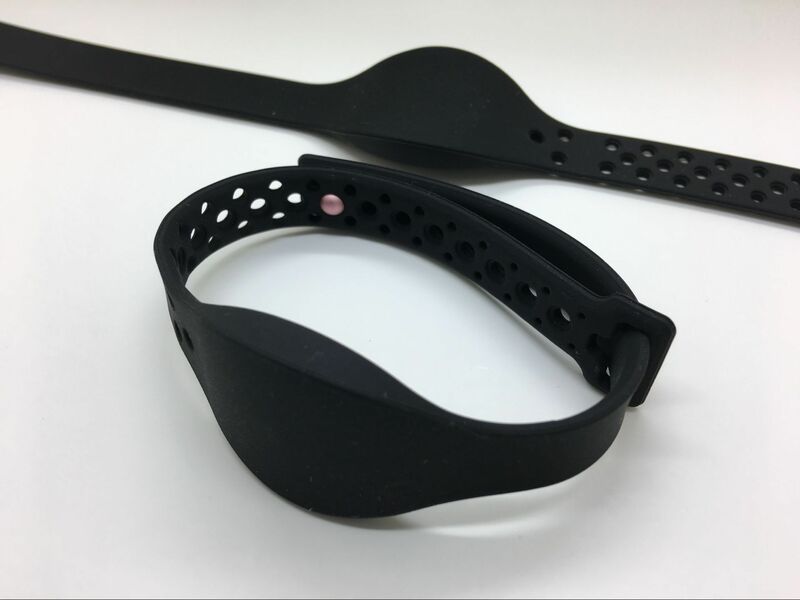 Siicone is skin-friendly material very suit for the wristband, the inner PPS RFID core enable it with excellent RFID performance and stability. Dual color deisgn, done by twice silicone diecasting. Oval plate first diecasting, then second diecasting with the RFID part and the wristband body. For OEM embossment logo, it is only on one set of small mold, easy and low cost to open new mold with customer logo. High quality pure silicone material, Disney product standard. Adjustable length with snap fastener, Unisex. Reinforce new editon for old WR15, with more fashion shape and stronger back tie. Skin-friendly contact surface for better wear feeling. Optional with logo hot stamp printing, laser engrave. Size option 55mm for kids, 65mm for adult. Size option 55mm for kid, 65mm for adult. Customer molding according exactly 3D design, or provide the 2D draft for our complete design. Data encoding service according customer encoding rule, output the data file upon request. 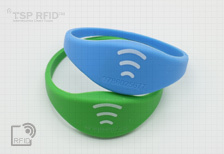 For the silicone wristband order with normal used IC for PPS/FR4 RFID core stock we will support the fastest delivery time. The special IC it would take 3-7days for PPS/FR4 core production first. Each Carton weight at 13.5KGs. ODM, OEM for customer design, 3D printing sampling.